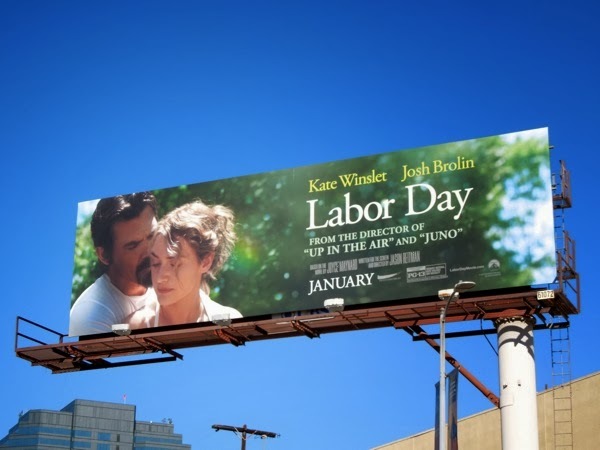 Kate Winslet recently received a Best Actress Golden Globe nomination for her performance opposite Josh Brolin in Labor Day. This new movie from the director of Up in the Air and Juno, is the adaptation of Joyce Maynard's 2009 novel of the same name and sees a depressed single mother and her son in 1987 helping an escaped convict with a tragic past. 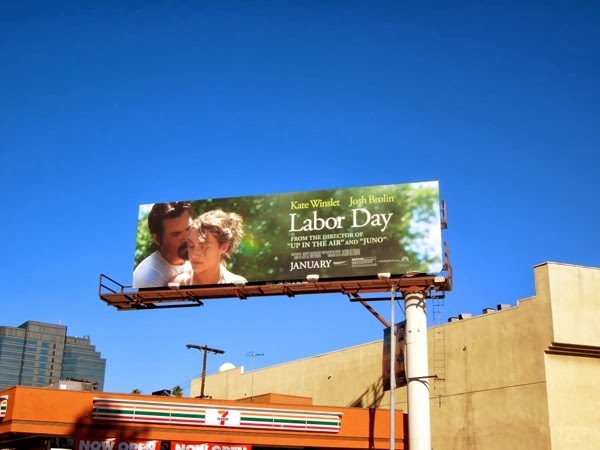 These billboards for the romantic drama were first snapped along Santa Monica Boulevard at Doheny Drive on January 10, plus further west along Santa Monica Boulevard on January 15, 2014. 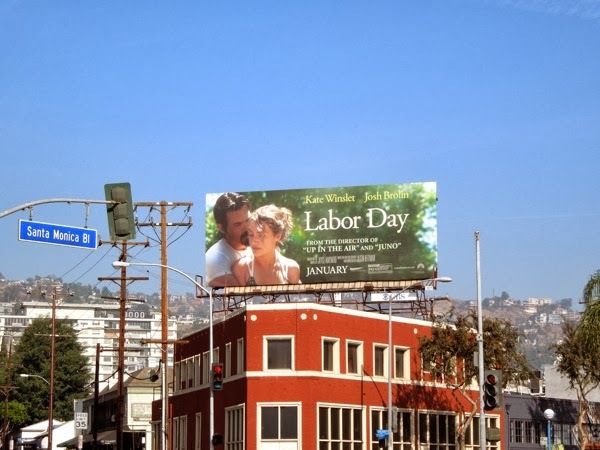 If you're a Kate Winslet fan, be sure to also check out this giant Titanic 3D movie billboard and these billboards for HBO's mini-series Mildred Pierce. 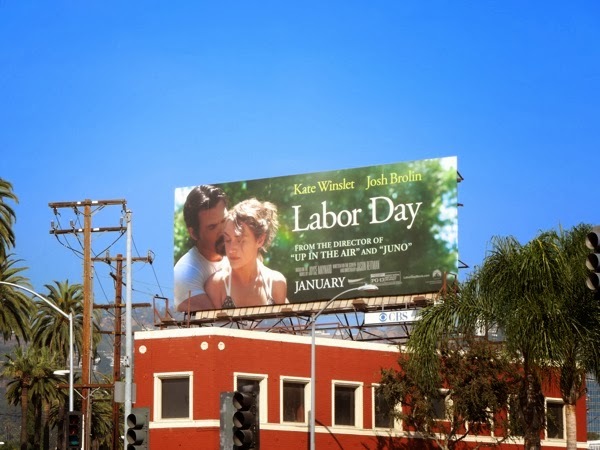 If you're an admirer of Josh Brolin, you can see more of him in these Gangster Squad movie billboards and this Men in Black 3 ad campaign. UPDATED: If you're a fan of the movie, be sure to check out these original movie costumes worn by Josh Brolin, Kate Winslet and Gattlin Griffith in Labor Day on display.